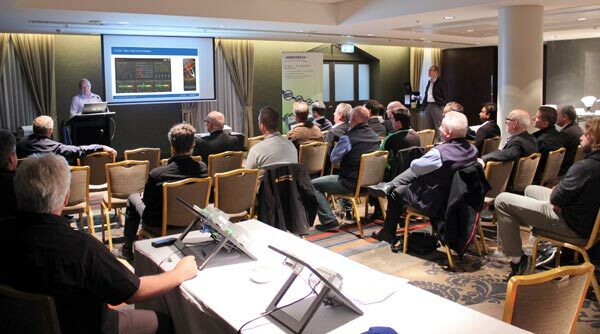 In early August 2013, Cortrols and Innotech hosted a three day extravaganza at the Intercontinental Melbourne The Rialto. The beautiful heritage listed location was chosen as it was retrofitted some years ago, and fitted out completely with Innotech equipment (Over 300 room controls & full BMS throughout the back of house, chillers, boilers & ventilation). The event was hosted by Cortrols Temperature Systems (Innotech's largest Distributor globally) and Innotech HQ, including attendance from Innotech founder and Managing Director Stephen Miranda and Cortrols Managing Director Craig Waldron. Innotech's commitment to industry with training. Australian manufacturing, innovation, and success on the world stage. Cortrols commitment to quality engineering, support, in addition to the abilities and benefits of using a local company and Australian manufactured product. Day 1 of the event was solely dedicated to displaying the nationally accredited training package developed by Innotech, in conjunction with various education institutions. Innotech’s success over the last 29 years has been boosted by support from the HVAC&R industry, and this was a way to give back to those who have made us the success we are today. 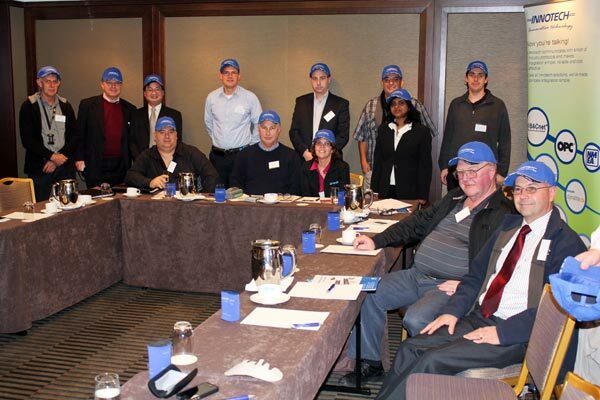 Four years ago, Innotech hired full-time Innotech Systems trainer Walter Colaiaco, (with 25+ years in Refrigeration & Controls, and a qualified trainer) to develop in-house training for staff, and the creation of e-Learning packages to support the growing international Innotech community of Distributors. With representation in over 12 countries, and more than 27 Dealers in North America alone, it was well and truly needed if we were to retain our quality control and core client focus. Approximately two years ago, Innotech were approached by various education institutes (North Coast TAFE & SWSi Granville TAFE) and asked if we would assist them in creating and supporting a new up to date HVAC&R and Controls course for industry. The aim was to introduce current technologies into the curriculum and train students on systems they would see and use in the market. Although there have been packages offered previously, ongoing licensing fees and lack of support has hindered progress and become too costly. The course is designed to meet education requirements and although using Innotech hardware & software, it gives a student an understanding of HVAC principles, controls programming and basic BMS skills (It is not manufacturer specific). Having Distribution country-wide, and a dedicated Training Website Forum ensures Innotech have the capacity to support the education institutes nationally, and to also guarantee centralised control and distribution of the training materials, and therefore quality control. 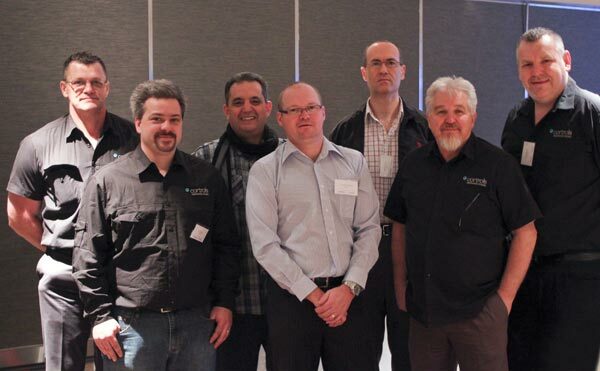 The invitation went out to all Victorian education institutions that host HVAC & Controls courses, of which several responded and attended the day (Along with Innotech & Cortrols). The presentations went well, but the enthusiasm amongst the attendees once it was understood that the materials, hardware & software were all FREE, and that Innotech and its Distributors would be there to assist the roll-out, mapping and delivery was definitely the highlight. Innotech are now in discussions with various institutes, and envisage having the course available in Victoria very soon. Tasmania is already on board, and Innotech HQ will host the course in QLD (other institutes are reviewing the course also). The course is also delivered in North America, and Innotech are in discussion with South Africa, New Zealand and other education facilities across Australia. 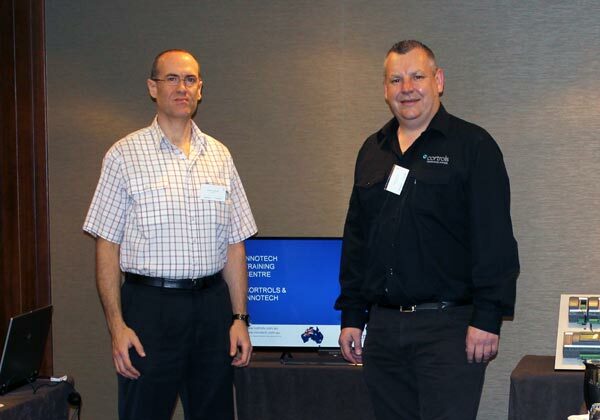 The event was also attended By Jim Linton (President of BACCA, Building Automation and Control Contractors Association of Australia Inc.) who was extremely pleased that Innotech, an Australian manufacturer is supporting the industry with such a commitment. "BACCA are 100% behind the course and are proud to be associated with it" expressed Jim during the group discussions. The following two days were broken up into 4 sessions, 10am-12pm and 1pm-3pm, with a joint luncheon between sessions. 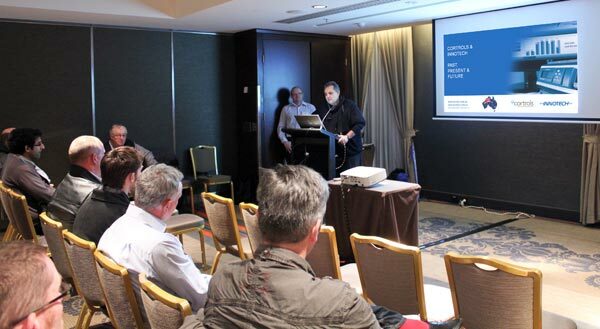 The invitations for these sessions went out to Consulting Engineers, Mechanical Contractors, Service Contractors and Clients, and the goal for each session was to highlight the longevity of Innotech and Cortrols, as well as the capabilities of a proud Australian manufacturer. Whilst the Innotech brand is well known, the extent of Research and Development undertaken in-house, manufacturing ability and even the capabilities of the product is less understood, and this was an opportunity to show the entire range of existing and new products. Another less recognised fact is that Innotech offer the most cost-effective, client focussed solution on the market, with life cycle costs that are second to none. Having the opportunity to personally show the products to the attendees, along with a variety of projects and case studies was invaluable. innSIGHT Supervisor Web-server: Highlighting the latest enhancements for support back to 2001 Maxim and Genesis hardware. M3K Micro 3000: The latest technology replacement of the highly successful M2K and MS series stand-alone digital products, with analogue signals for economy, variable compressor control, timeclock control and much, much more. BMS, ATOM & Energy Auditing: Accessing Innotech HQ to show the tuning of the system, reporting and BMS, along with access onto a single McDonalds franchise store. Highlighting the affordability for a small or large project, and flexibility of the interface. Those who attended were also treated to an insight into the "Next Generation" Innotech Hardware & Software, which has been in development since 2011, and expected release in 2015. This was a great way to show where Innotech is heading and to get direct feedback from the attendees on our direction. The event was attended by over 120 people over the 3 days. Innotech founder and Managing Director, Stephen Miranda expressed, "This was one of the best events of this nature Innotech has been associated with. 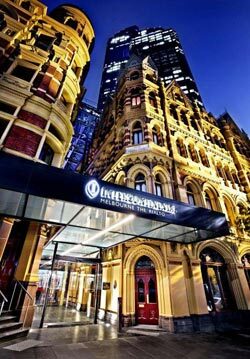 The organisation from Cortrols, hosting and catering by the Intercontinental Melbourne the Rialto, and the response from the Victorian industry was exceptional". The final message we wanted to deliver was the benefits and capabilities of the Innotech and Cortrols offer, and the ongoing benefits to a client, with savings for the entire life of the product. Most BMS products we compete against are multi-national companies, and imported products. Many will "buy the job" and build their profit by "locking in" the client to unreasonable service and maintenance contracts. Innotech use the “cost up front” model, no ongoing licensing fees, and optional service, or levels of service, which is great where you have an ongoing relationship with the client. "If hosting this event allows us to at least gain the opportunity to quote various projects, we will have achieved our goal" says Craig Waldron, Cortrols Managing Director. Overall I would like to thank all those from Cortrols and Innotech who organised and participated in the event, and mostly to the attendees who gave up their time to attend. Without you it would certainly not have been the successful event it was. We all look forward to catching up with you again at ARBS in Melbourne May 2014, and Cortrols look forward to continued success in the Victorian market, and hopefully some new opportunities with you.